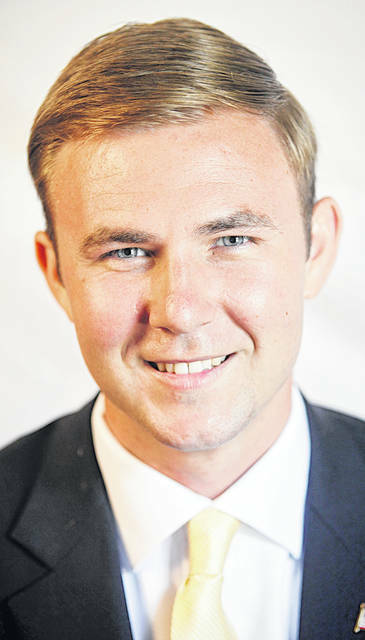 Saying he wants to serve his hometown community, Hillsboro resident Alex Butler announced Thursday that he is running for city auditor. Butler officially filed his petition Thursday, according to the Highland County Board of Elections. Hillsboro Mayor Drew Hastings and Thomas Eichinger have pulled petitions for the city auditor position, but they have not yet filed their petitions, the board of elections said. Butler, Hastings and Eichinger are all Republicans, meaning that if they all file petitions, they would face off in the May 7 primary. Hastings, currently in his second term as mayor, has also pulled a petition for his current office, but has not yet filed it either. The deadline to file a petition for the primary election is 4 p.m. Feb. 6. Butler is a 2009 Hillsboro High School graduate. He earned an associate’s degree in biblical studies from Cincinnati Christian University in 2011, and in 2014 earned a bachelor’s degree in business administration from Xavier University. More recently, he graduated in 2018 from Army Basic Combat Training and the United States Army Officer Candidate School, both at Fort Benning, Ga.
After college, Butler accepted an opportunity to work for the Jarvis Corp., a Chicago-based LED light manufacturer. “As my career progressed and it came time to decide where to invest myself, I decide to move back home to Hillsboro,” Butler said. “Since returning home I’ve been employed at Donald E. Fender, Inc. as a real estate agent and commissioned as an officer in the United States Army Reserve. Regardless of where I went to school or what city I was working in, I always stayed in touch with the community and kept my finger on its pulse. Butler said that studying finance and accounting at Xavier, leading soldiers as an officer in the Army Reserve, and experience working in both Chicago and his family’s local businesses have prepared him for the more complex aspects of managing the city’s investment fund, complying with state codes, and clearly communicating the city’s finances to other elected officials and the public. “One element of the position I’m drawn to is the objective nature of the job,” he said. “Objectively accounting for the city finances and transparently processing accounts payable and receivable are imperative. My philosophy is simple — just do the right thing and try to make good things happen. Butler said he has served the local community in several areas through volunteering. He said he is a member of Support Our Troops of Highland County, helped start the “Honoring Those Who’ve Served” veteran banner project in uptown Hillsboro, is in his second term as president of the Liberty Lions Club, and is a fourth-year member of the Festival of the Bells Committee. He also enjoys playing the piano and organ at his home church. “I look forward to further discussing the issues and earning your vote on May 7,” Butler said.